Product prices and availability are accurate as of 2019-04-17 20:05:50 EDT and are subject to change. Any price and availability information displayed on http://www.amazon.com/ at the time of purchase will apply to the purchase of this product. 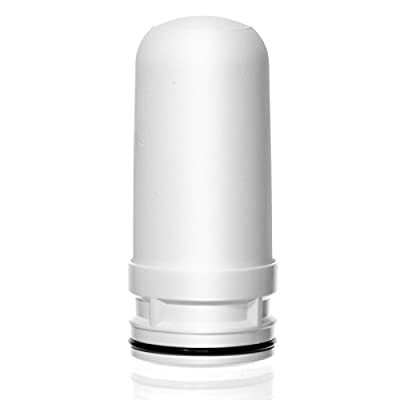 The LittleWell DF-CERAMIC filter cartridge is used in faucet mount filters DFC1, DFW1, and DFW2. 1st Layer: 1/8" thick ceramic shell rated at 0.1 micron removes dust, particles, rust, giardia, cysts and germs. Protects and extends the life of the inner layers. 2nd Layer: Carbon block gets rid of unpleasant chlorine, tastes, odors, cloudiness and colors. Also removes VOCs and other common chemicals from the water. 3rd Layer: Innovative media that removes fluoride. 4th Layer: Innovative media that removes lead, mercury and other heavy metals. 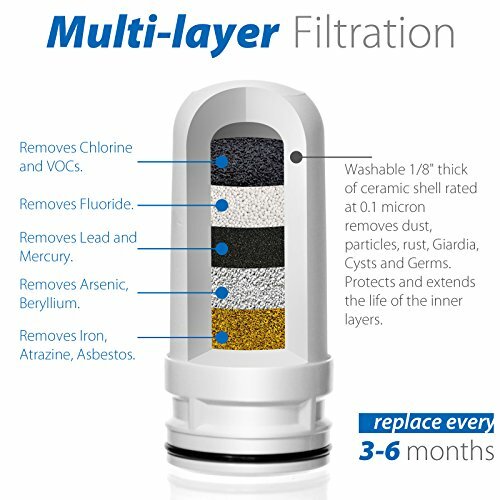 5th Layer: Innovative media that removes arsenic, beryllium, iron, atrazine, asbestos and more. Note: The filter cartridge comes vacuum sealed. Be sure to remove the plastic seal on the cartridge before use.